For the first time in years, anti-immigrant hardliners in the UK are on the back foot. The Windrush scandal has generated an outpouring of support for people who have contributed so much to Britain for so many years, only to be threatened with deportation by Home Office officials because they couldn’t prove their immigration status – a chilling reminder that without proper safeguards some EU citizens could suffer a similar post-Brexit fate. The new Home Secretary (interior minister), Sajid Javid, has already ditched the “hostile environment” for unwanted migrants created by Theresa May when she did his job. 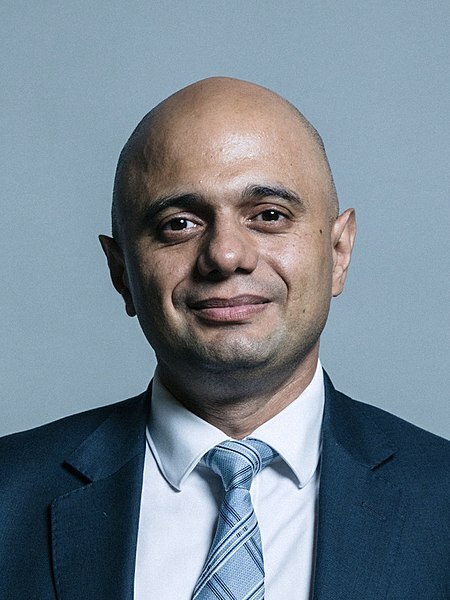 The son of a Pakistani-born bus driver and the first Muslim to be a senior UK minister, he pointedly observed that he victims of the Windrush scandal could have included “my mum, my brother, my uncle or even me”. Now Javid has an opportunity to craft a more liberal immigration policy, Philippe Legrain argues in the Evening Standard. Polls show that voters feel much more positive about immigrants since the Brexit vote; they now have more pressing concerns. Events in the UK have a wider relevance. While anti-immigrant forces have won many victories in Western countries in recent years, they are never satisfied and so are prone to overreach. That provides an opportunity to fight back. And as the Windrush scandal shows, highlighting personal stories that voters can relate to is particularly effective. We are living in an era of immense political disenchantment. Establishment politicians, political institutions, liberal democracy itself – all are under attack. The political class, technocratic policymakers and the so-called liberal elites are widely seen as incompetent, self-serving, unaccountable and corrupt. Populist demagogues who claim to speak for “the people” are quick to take advantage and whip up fear and anger. The problem is threefold. Many Europeans take for granted the EU’s benefits. Angry and fearful people blame it for everything that they think is wrong with their lives and in society as a whole. And on top of that, the EU has very real flaws, not least a lack of democracy. To defeat xenophobic nationalism, the EU needs to become more democratic. Philippe’s piece for Brussels Times set out three big changes that could help. Read it in full. Donald Trump threatens trade wars with all and sundry, is withdrawing the US from the Paris climate-change agreement and is now pulling out of the international nuclear deal with Iran. In the New World Disorder, America First increasingly means America Alone, as Gideon Rachman argues in the Financial Times. In Foreign Policy, Philippe warns that while both the US and China would lose out from a trade war, Beijing’s position is much stronger, both economically and politically, than Trump thinks. The danger that he could overplay his hand is therefore high. Read the piece in full. In the Huffington Post, OPEN Advisory Board member Senator Ratna Omidvar argues that the UN Global Compacts for Migration and Refugees lack ambition. At best we have written a five-year perspective at a time where a global vision for the next half century is needed. In an insight piece for the Centre for European Reform, OPEN fellow Sam Lowe weighs up the case for Britain to be in a customs union with the EU after Brexit.